ORCIVAL. Made in France. Since 1939.
latest addition for D/A/CH. 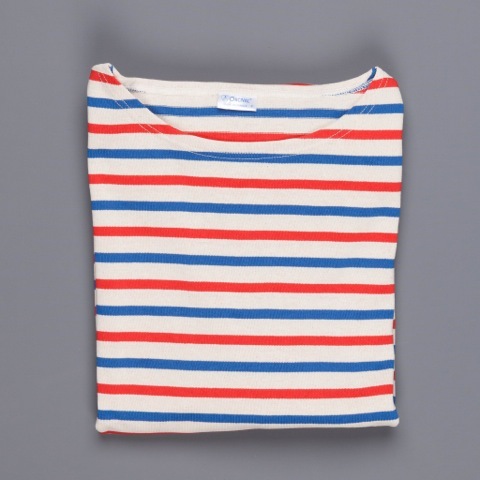 The iconic breton shirt (french: marinière) for women and men. Still made in France. Lots of color combinations available. In selected stores now. Orcival is a genuine brand, with an eight-decade history, a strong commitment to promote know-how and high-quality products, perpetuate manufacturing in France of timeless, iconic t-shirts, deeply rooted in our cultural background and heritage. The Orcival brand and its associated bee emblem were registered in April 1939. The name of the brand comes from a small village in the centre of France, cherished by the founder. Because of the war, Charles Bert had to move his workshop from Paris to Lyon in November 1939. The owner was indeed originated from the city where he was used to source silk and cotton yarns. Despite its location nearby the city hall, downtown Lyon, the workshop was integrating knitting and manufacturing. Orcival was knitting fabrics with its own RACHEL looms. One was dedicated to silk fabrics for ladies underwear, another from 1947 on to cotton fabrics for Marine Nationale Jersey. Later on a circular loom was introduced to make heavy cotton fabrics in open end yarn. The recipe for success had taken shape. French Navy T-shirt fabrics is named Rachel because it is made with very specific looms created in the 1850’s. The actual development of this technology begins in the 1960’s. The usefulness of such knitting machines, which look like looms lies in their capacity to realize complex draughtsmanship. The design of the fabrics, born in the 50’s, and worn by Picasso in 1952 at Vallauris, is a subtle mix of irregular stripes that classic looms are unable to reproduce. 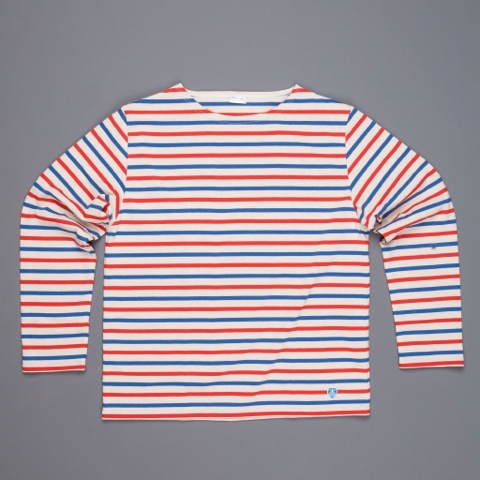 Moreover, those T-shirts, like Orcival ones, keeps their shapes and their good appearance no matter what the weather is like. Their stripes remain horizontal and parallel thanks to the fabrics meshes. The requirement for genuineness of Orcival Products, (100% made in France, from knitting to manufacturing) is living up to the required know-how for running the Rachel machines: they need for each output a handmade warping for about 1500 threads, just before meticulously knitting. A single mistake in the order of the threads during warping or a moment’s inattention during knitting means an immediate failure. The heavy cotton is a jersey fabrics knitted on a circular loom. It is a kind of knitting far more traditional but which requests a big know-how. Your Orcival T-shirt gives you the same proof of genuineness as before, because still 100% made in France. 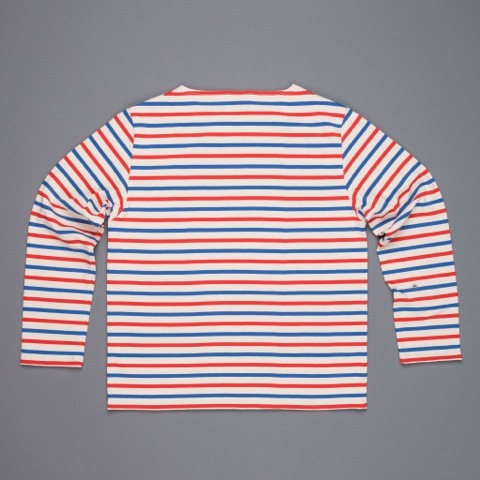 A decree, on March the 23th 1858, added the stripped jersey to the French Navy dress code. Originally, it was a 20/21-stripe underwear long enough to cover low back when leaning forward. The T-shirt is slim-fitted for practical reasons (ability of movement) and aesthetics ones (Sailors’ figure). The sleeves have a 7/8 length so as not to exceed tunic ones. The stripes are white for the largest (2cm) and blue for the shortest. The best-mastered dyeing at the time was indigo blue; so this colour was easily available. Besides, blue used to be iconic of Royal and Republican France. 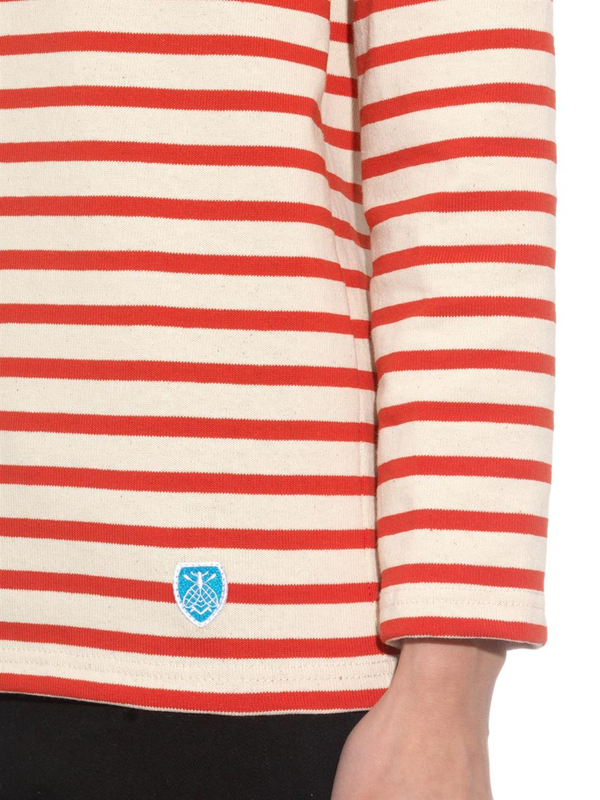 This striped jersey is also the symbol of young sailors because worn by ship’s boys. 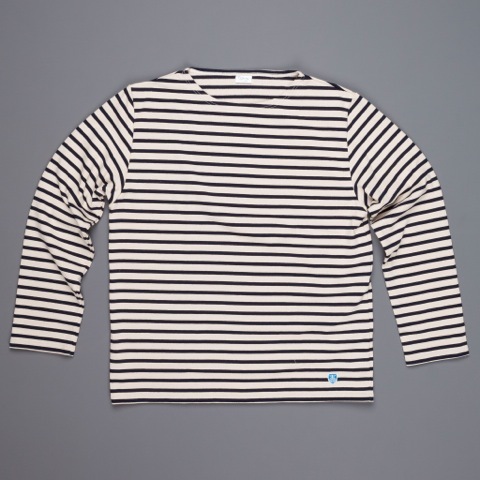 The French Navy jersey by Orcival kept from this time its inimitable style with its right fitting. In 1917, Gabrielle Chanel will adapt army’s jerseys into a unisex wear: women can also wear T-shirts and jerseys. Yves Saint Laurent and Jean Paul Gaultier designed too products from the French Navy jersey; indeed, the jersey is as unisex as American denim jean. Then, Picasso, Brigitte Bardot, Jean Selberg, Charlotte Gainsbourg will contribute too to its status. This top lives in History, carries out its roots, and a strong and original message. The Orcival’s heavy cotton jersey matches the codes of the original French Navy jersey, designed and manufactured for working and which utilization value is noble. It is made for long-lasting, for acquiring a patina while being worn. pay need to customers’ satisfaction and requests . 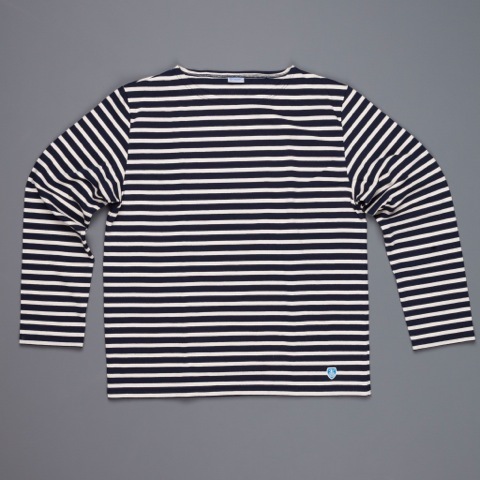 This entry was posted in Uncategorized and tagged Amtraq Distribution., Breton shirt, Made in France, Orcival by AMTRAQ. Bookmark the permalink.